Here's the continuation for my previous update on our team dinner at Marche Movenpick. So much for a big team that we have but not many people could make it. Anyways - the food that we had here tonight could feed 16 people - says William Lau (Content Editor @ Xfresh Group). Oops, no i'm not trying to write like a journalist but hey i am in CDT arent' i? There was so much to eat - we had like a 10 course meal i guess...but hey tonight I'm going there again to meet up with a client for dinner and she's spending us a 12 course meal. Whoaa!!! 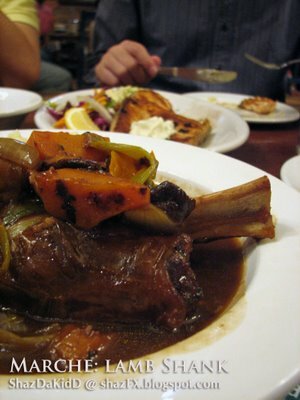 Anyways - we had Lamb Shank, Penne Arrabiato with Beef, Salmon and so so so much more on this evening. Here's a short entry for this nice evening at Marche with Albert, Orange, Jack, Mei and William. Great work team (in eating the food..mwahahah). The lamb shank here is so YUMMY!!! you can really feel and taste the lamb in the soup. 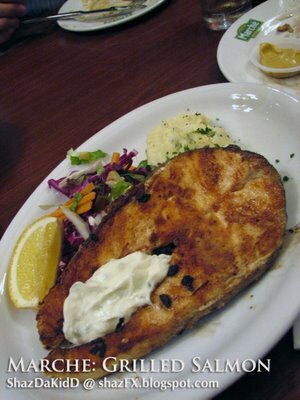 It's much better than the one at Secret Recipe (by my taste that is). 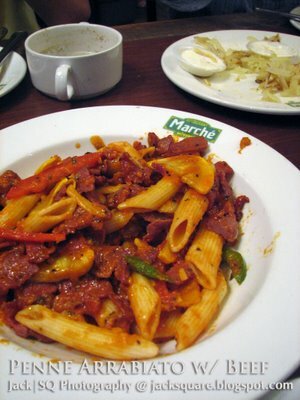 Although Secret Recipe got all the awards, but Marche stays low profile but provides the best in quality and taste. This penne is best eaten when it's served fresh!!! 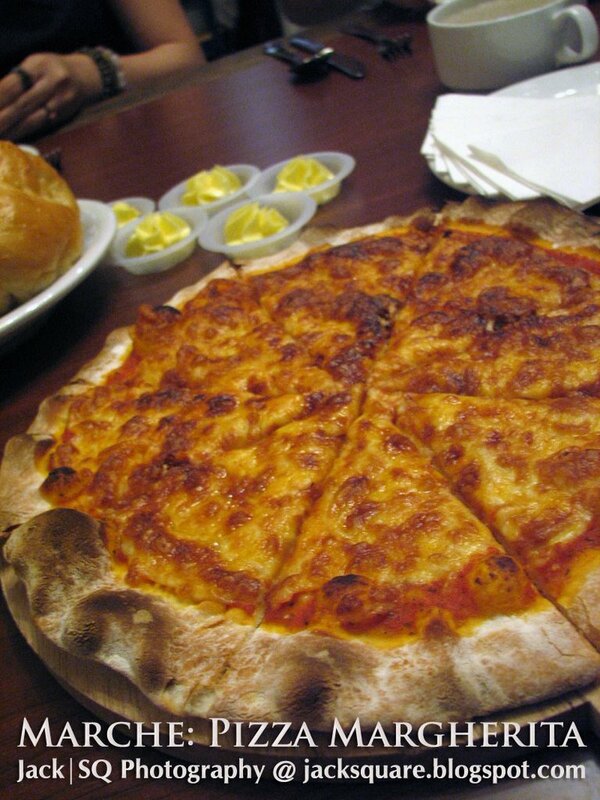 Pizza here undoubtedly nice, for you to try...everyone has a different taste. Grilled Salmon - my favourite, suggested them to make one like in Planet Hollywood in France where its in foil paper oven grilled with butter and maple syrup. 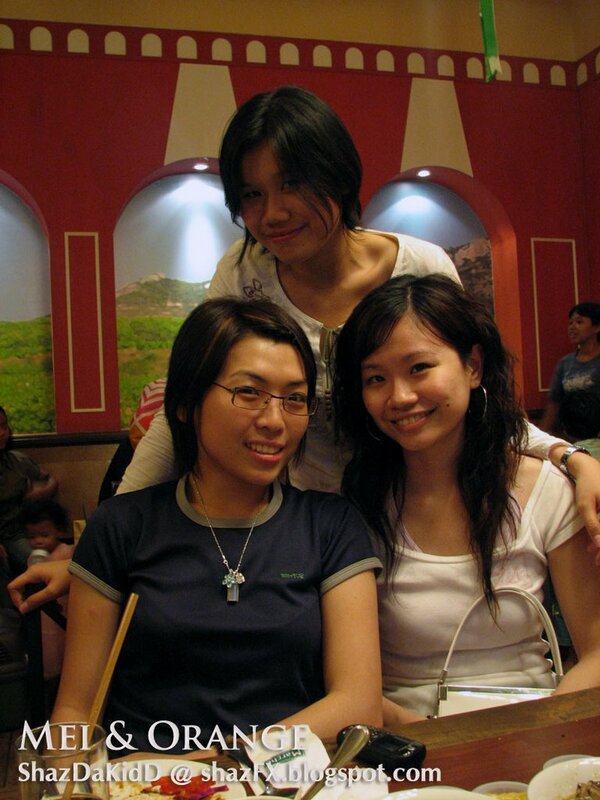 Ahh..dinner with the ladies :) Mei, Orange and her friend. What A Day...3 parties in 1 night!!! Breakfast @ Shokudo - A Value Meal Indeed!! !